This lotion goes on smooth, smells nice, and gets the job done. 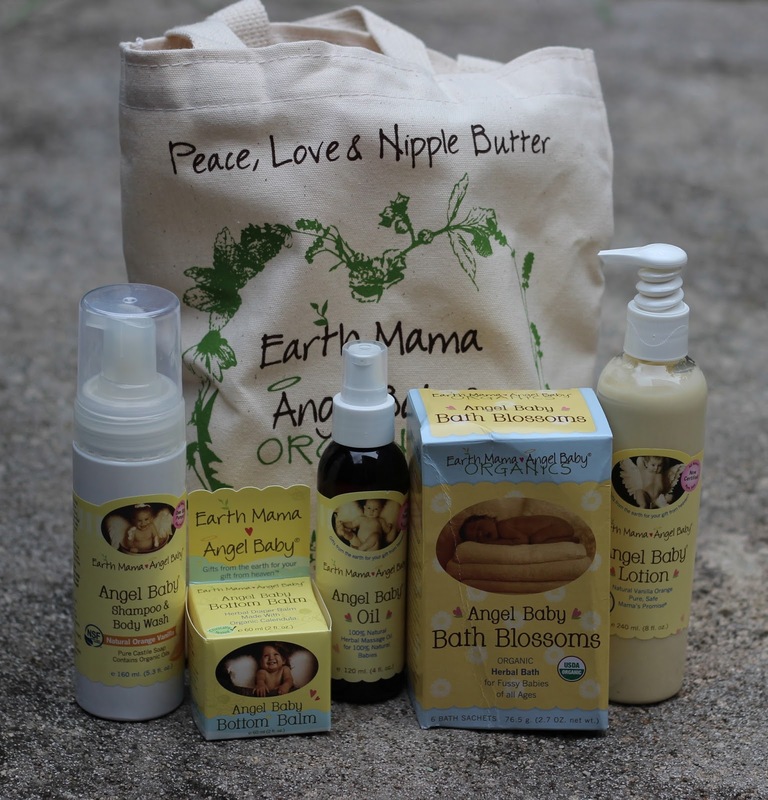 Earth Mama boasts that this is the first US personal care product certified to the NSF/ANSI 305 standard. 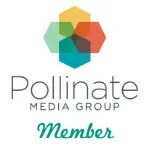 I have no clue what that means, but I do know what zero toxins, no artificial preservatives, fragrances or dyes means. 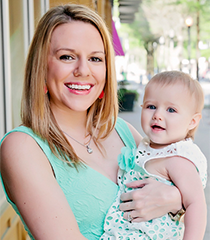 If you follow my blog you also know that my baby girl has seriously sensitive skin so we are very careful about what products we use on her, and one thing we look for is products free of fragrances and dyes. In this case, that does not mean sacrificing quality as this lotion works wonders. This lotion does not cause any breakouts on MG’s skin, and my sensitive skin enjoys it as well. It absorbs into skin quickly and leaves skin feeling soft. Who says baby lotion has to be just for babies? This works great as a body or hand lotion for any adult . The Angel Baby Shampoo and Body Wash is a nice body wash that cleans well and smells nice. This body wash has an orange scent that is fairly strong. It doesn’t smell bad, but it’s not my favorite smell either. It’s also important to keep in mind that this is a castile soap. That means it’s a great cleaner, but not tear free, which is potential problematic. Castile soap is great for older children or adults who wash themselves and understand not to get it in their eyes, but I’m not good at washing MG’s hair and not getting shampoo in her eyes as she is so squirmy. Right now I am using this body wash for me, which I love, and for a hand soap by our kitchen sink. Because it is a castile soap, it can be used to make an awesome all purpose house cleaner as well. 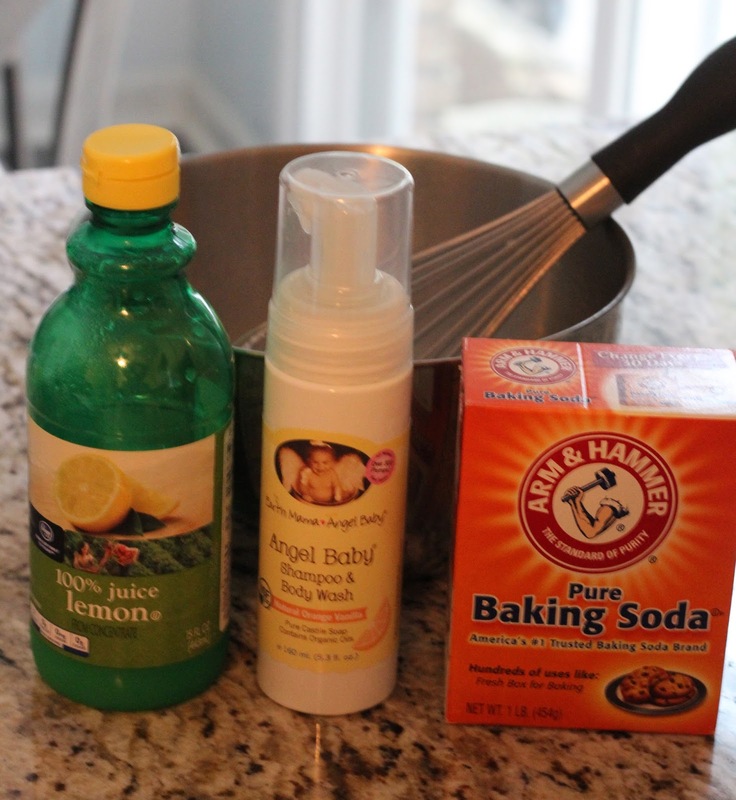 I mixed 1/2 cup baking soda, 7 squirts of this body wash, and about 7 drops of lemon juice together to make an awesome paste-like cleaner that you just dab on a sponge and can use on almost any hard surface. Mix some water to that paste and you can have a liquid cleaner if that is what you prefer. Yet another use of this cleaner is in our cloth wipes. I just mix a squirt or two of this with some water in a cup and pour it on top of our cloth wipes in the wipe warmer and it creates cloth wipes that clean better than if just moistened with water and smell fresh. I’ve become a big fan of baby massaging and this oil is perfect for just that. It has a very slight but pleasant scent and isn’t too sticky as some other oils are. It is moisturizing and just a little bit of oil goes a long ways. This is awesome on super dry skin, both for baby and mamma. A little bit of this can also be used in the mixture for cloth or reusable baby wipes to help moisturize and keep diaper irritation at bay. This is my favorite product out of the bundle. I’ve tried several other similar ointment type products to handle bottom rashes and have found them all annoyingly sticky. This balm absorbs into the skin and is smooth, not sticky whatsoever. It’s very moisturizing but does create a very thin protective layer. The balm seems to help MG’s sensitive skin from breaking out on her bottom and soothe the discomfort when a little rash does develop. As we use both cloth diapers and disposable I love that this balm is cloth diaper safe. The Angel Baby Bottom balm has so many other uses as well. My baby’s fingernails grow crazy fast and she is constantly scratching herself, and I love having something that isn’t sticky that I can put on her scratches to protect them. This stuff can also be used as Chapstick, on any areas of dry skin, and even on bug bites for relief. I didn’t even know products like this existed before trying the Angel Baby Bath Blossoms. Basically it’s a tea that you make and pour into your baby’s bath, and it helps calm down your fussy baby. The smell of the blossoms is very relaxing. 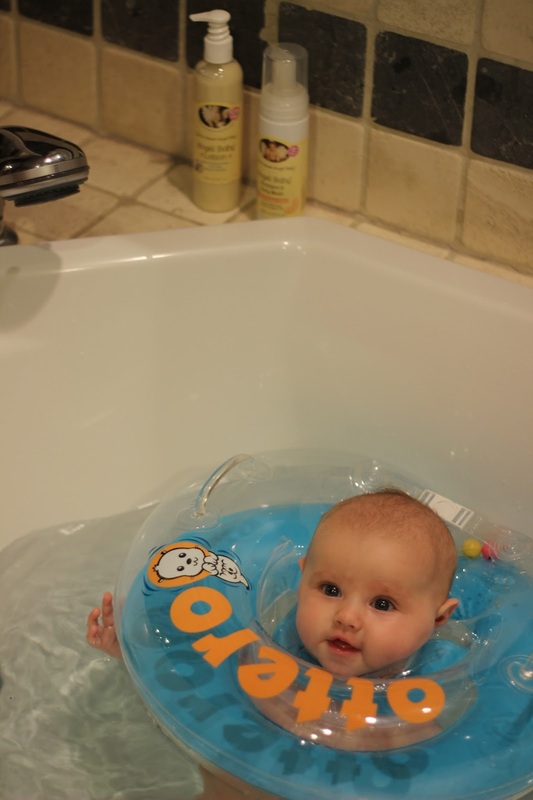 However, my baby is never fussy during bath time, in fact she loves it, so I’m not sure whether this helps calm a fussy baby or not. I can say that the smell definitely relaxes me, and it’s fine for adults to use this as well as babies. The bath blossoms are a great way for any busy mom or dad to wind down at the end of the day. My only complaint with these are that the sachets are so easy to burst, and then they are a mess to clean up. When using this product you have to be very careful – I had one burst just from the impact of the sachet hitting the water when I dumped it in the bath. Bath time fun with Earth Mama and Otteroo!